On the eighty-eighth day of his hunger strike, incarcerated blogger, Dr. Mehdi Khazali is suffering from various health problems including a decreased heart rate. This political prisoner, who was arrested October 30, 2012 during the Writers Association meeting, is being kept incarcerated while his release on bail order was issued more than a month ago (bail has also been posted by his family). During these 88 days of hunger strike, Mehdi Khazali has been repeatedly taken to the prison clinic due to poor health conditions, and family members have serious concerns about his health. A severe decrease in blood pressure, weight loss, extreme weakness, and vision problems are some of the health issues that this political prisoner is currently facing. Dr. Khazali’s son has informed and warned all the relevant authorities about his father’s condition, including the Supreme Leader’s office, the Expediency Council, the Parliament, the Judiciary, and so on. It has been said many times before that the intent of the continued detention of Dr. Khazali is to break his spirit. Previously, they had placed a person accused of spying in his solitary cell for a while, and, per his son, currently he is sharing his solitary cell with a drug trafficker. Distinguished imprisoned rights attorney Abdolfatah Soltani has sent out a Norooz (Iranian New Year)message from Evin prison which was posted by his daughter Maedeh on her Facebook. Abdolfatah Soltani, a rights lawyer, spokesman and co-founder of the Center for Human Rights Defenders, was arrested on September 10, 2011. Soltani was tried and convicted on charges of “receiving illegal income through being awarded the 2009 Nuremberg International Human Rights Award, interviews with foreign media about his clients’ cases, and Co-founding the Center for Human Rights Defenders. Soltani was initially sentenced to 18 years imprisonment and a 20 years ban from practicing law. His sentence was later overturned and reduced to 13 years imprisonment. “They may close your eyes, ears and mouth, but never will they be able to enchain your thoughts. So bread the bird of liberty with such pure and creative minds that it becomes so strong that it throws down and shatters the hour-glass of the life of the demon of ignorance and darkness, and tears apart the ropes and chains of the worshipers of the darkness. Today is 85 days since my father launched a hunger strike, and, at any moment, we may receive the horrible news. I am saying this so no one can later claim that they didn’t know. All the officials know, and are even better informed about my father’s situation than I am. None of the officials, from the highest to the lowest rank, can ever claim they were not aware of my father’s situation. The Supreme Leader (Ayatollah Khamenei) is also aware of my father’s case and situation. I myself have personally informed the Leader, the Special Investigator at the Leader’s office, the Expediency Council, the Imam’s office, the Judiciary and……of the details of my father’s case and his situation. As my father had said before, and I, after pursuing my father’s case, have concluded that my father’s release is only possible by the direct order from the Supreme Leader. With the judge’s order for release, my father’s detention is illegal. I am a son, my father’s absence is hard enough to bear, let alone losing him and being a witness to his martyrdom. I don’t know how to say this? Should I scream? Should I self immolate? With what language will they be satisfied? Should I cry? Should I groan? Should I humbly request? Should I beg? I don’t know how else to say; At any moment my father’s heart may stop beating, free my dad. Dr. Mehdi Khazali’s son Mohamad Saleh posted the following entry on his Facebook, a note that was written by his sister on the first day of the Iranian New Year. 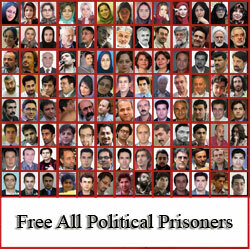 Today is the first day of Farvardin (March 21) and the 83rd day of your hunger strike. Because clocks are prohibited in your cell, I don’t know whether you even realized at what moment the New Year arrived (Iranian New Year, the moment the sun crosses the celestial equator). 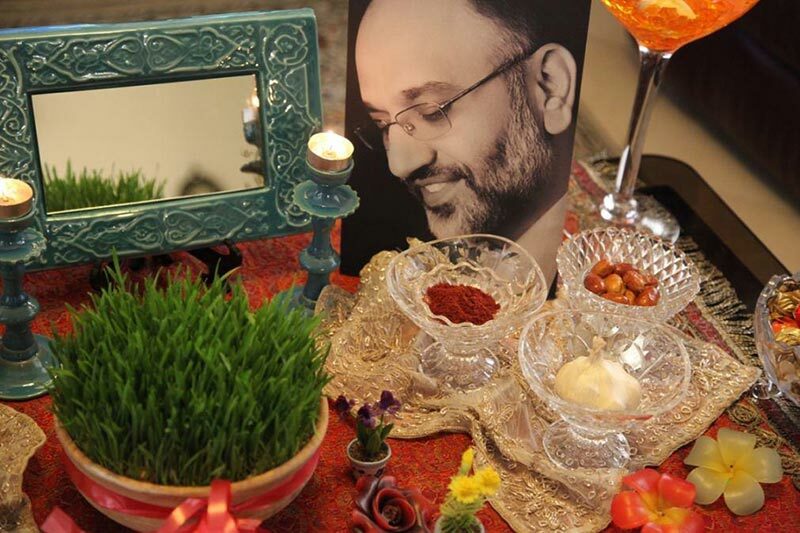 Here, at home we set our Haftsin table (Seven S’s, the traditional Iranian New Year celebration table consisting of seven items starting with the letter “S” each), but we only had your picture here with us. “My dear father, I know that you probably prepared Haftsin for yourself there and celebrated the arrival of the New Year, just like the time that you were in the war zone and prepared your haftsin with Simchin (wire cutter), Simonov (a type of gun), sarnaizeh (spears) and sehpayeh (tripod). Today if you didn’t have seeb (apple), instead you had your cellool (cell). If you didn’t have Sabzeh (Greens), instead you have your Green ideology. Today, your weapon is your pen. Perhaps the deep silence in your cell is also one of your S’s. A silence that contains many roars. You had told us that your cell is very cold (sard), and the jailers even denied you the warm clothing that we brought for you. Your sixth S may be the soldier’s (sarbaz) foot steps that can be heard in the silence of the prison halls. And as for the last “S”, I will place your vast as an ocean heart (sineh), your love filled heart, on the Haftsin table. Dear father, the moment of the New Year’s arrival, I closed my eyes and placed myself inside your solitary confinement prison cell. Protesting his illegal arrest and detention, Dr. Mehdi Khazali continues to be on hunger strike. On Thursday March 14, his son posted a note on his Facebook page saying that his father has been transferred back to solitary confinement and is banned from visits and phone calls. On January 29, 2013 Mehdi Khazali, thinking about the ten rules that reign in Evin prison, wrote them down. These rules, which the political prisoners and their families have felt with their skin and bones, were posted on day 77 of Dr. Khazali’s hunger strike by his son Mohamad Saleh on his Facebook. 1- The rule of law is prohibited from entering Evin. 2- Demanding justice is a crime. 3- Speaking of the rule of law at Evin is making a fool of oneself. 4- Requesting a lawyer exacerbates limitations placed on a prisoner. 5- You are blindfolded to stop you from seeing anything. 6- No means of communications with the outside world and a ban on news, so you don’t know what is happening. 7- Threatening of families has become a very effective weapon. 8- Solitary confinement for added psychological stress and pressure. 9- Pen and paper are considered more dangerous than drugs. Hossein Loghmanian who represented the people of Hamedan in the 6th Parliament was arrested today along with his four Reformist companions. Former Parliament member and the head of the Participation Front in Hamedan, along with four Reformist activists, were on their way from Hamedan to Tehran this morning to visit former president Khatami when they were arrested. They are currently being held at the Intelligence Ministry’s center in Hamedan. Arrested along with Loghmanian were; Mohamad Reza Afkhami, Hadi Ehtezazi, Mrs. Rahimi and Amin Faridian, all Reformist activists in Hamedan. Hossein Loghmanian was the head of Mehdi Karoubi’s 2009 presidential campaign in Hamedan. He was arrested back in 2002 after giving a speech in the Parliament condemning the arrest of National-Religious party members. At the time, the Judiciary sentenced Loghmanian to 13 months imprisonment. This met with the objections of Parliament members, many political and civil activists, the then-president Khatami’s administration and the then-Parliament Speaker Mehdi Karoubi. This resulted in the Judiciary releasing Loghmanian after 20 days imprisonment. In a speech in Parliament, the then-Speaker, Mehdi Karoubi, said he will resign if Loghmanian was not released. Karoubi left the Parliament after his speech and said he will not return until Loghmanian is released from prison and unless the Parliament members are not given the protection allowed by Law. Loghmanian was released hours after Mehdi Karoubi’s Parliament speech. Just as many of the recent arrests, there is no legal or any other reason for Loghamanian and his companions’ sudden arrest. Their status and the reason for their arrest are currently unknown. “This morning I went to Evin to visit my father. A rude old man who is the Deputy Warden at Ward 209, shamelessly said, “He is banned from visits, banned from phone calls and is in solitary confinement”. I asked, “Why”, he said, “Judge’s order”. I asked, which judge? He said, “The same Judge that you went to see yesterday”. I said, he (the Judge) told us he has issued my father’s release order, has sent it to you and you have registered the receipt of the order. He said, “He is playing games with you”. All of these actions are illegal, but as my father says, “Law does not enter the gates of Evin”. After seventy days on hunger strike, Dr. Mehdi Khazali is in dire health and can barely stand on his feet. Dr. Khazali’s family were able to visit him in prison on Thursday March 7, but his very poor condition and loss of strength has added to their worries and concerns. According to his daughter, Zahra Khazali, he was so weak that he could barely walk and has lost a lot of weight. Dr. Khazali was arrested on October 30, 2012 (his fifth arrest since 2009), during the Writers Association meeting, and despite bail having been set and posted, he remains incarcerated. GVF had previously reported that despite judge’s order for Dr. Khazali’s release on bail, and bail having been posted by his family, Dr. Khazali will not be released until he denounces the Green leaders (Mir Hossein Mousavi, Zahra Rahnavard and Mehdi Karoubi, all of whom have been under house arrest for more than two years). On day 63 of Dr. Khazali’s hunger strike, his son, Mohamad Saleh posted on his Facebook page, “Today was Dad’s 63rd day of hunger strike. At 6 o’clock in the afternoon the house phone rang. I answered. It was a voice that was a testament of 63 days of hunger strike and a dad so weak that could hardly stand on his feet after all this time on hunger strike, that after a few minutes of conversation, says: “My legs are weak, I can no longer stand, so I will say goodbye”. Dr. Khazali’s daughter posted this note on her Facebook after their visit on Thursday March 7, “After two weeks of worries and anxiety, from behind the glass window of the visiting room, as the glare of the lights in the window prevented me from seeing clearly, I saw the shadow of a man, barely able to walk, wearing white sandals, so weak that he could not lift his feet and was dragging his feet on the floor. Following is translation of a post on Zahra Khazali’s Facebook. She is the daughter of imprisoned regime critic blogger Dr. Mehdi Khazali who now is on day 69 of a hunger strike in Evin prison. “After two weeks of worries and anxiety, from behind the glass window of the visiting room, as the glare of the lights in the window prevented me from seeing clearly, I saw the shadow of a man, barely able to walk, wearing white sandals, so weak that he could not lift his feet and was dragging his feet on the floor. It is 66 days since the launch of hunger strike by Dr. Mehdi Khazali imprisoned in the Intelligence Ministry’s Ward 209 of Evin prisonm but the Intelligence Ministry continues to prevent his release. Although it has been one week since the judges ordered the release of Dr. Khazali on bail , and the bail has been posted for his release. But the interrogators, with the cooperation of Dr. Khazali’s youngest brother, Alireza Khazali, have pressed new charges against him. Concerns have grown for the physical well being of Dr. Khazali due to his prolonged hunger strike. It was a voice that was a testament to 63 days of hunger strike, and a dad so weak that he could hardly stand on his feet after all this time on hunger strike. After only after a few minutes of conversation, said: “My legs are weak, I can no longer stand, so I will say goodbye”. Dr. Khazali has been incarcerated in a small cell lacking the basic facilities for more than four months. Despite his release-on-bail order issued about two months ago, and a new Judge’s order for his release on bail issued last week, he continues to be incarcerated. Last week in an interview with Kalameh, Dr. Khazali’s son Mohamad Saleh said, “According to Judge Ahmadzadeh, my father should have been released on bail December 30, 2012. Despite my mother having gone many times to the offices of the Judiciary & the Intelligence Ministry’s offices, this release-on-bail order was kept from us until now. My father has been kept in incarceration illegally for more than two months. Yesterday the Revolutionary Court sent the release order to prison officials, but last night as we waited for hours for his release, it never did happen. According to reports, with methods totally outside of the normal legal processes, the interrogators and the intelligence apparatuses have so far filed 20 different cases against Dr. Khazali. In doing so, the interrogators have solicited and received help from Ayatollah Khazali’s family. 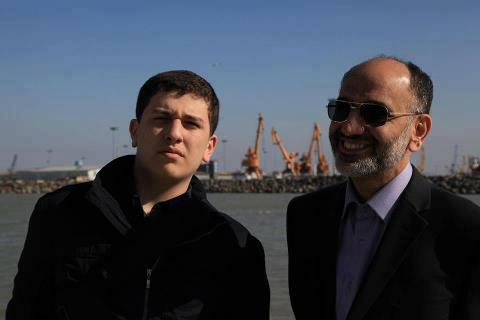 They have received help from Dr. Khazali’s brother, Alireza who is a supporter of Mahmoud Ahmadinejad. Alireza Khazali, with the help of one of his friends, has filed a complaint against Dr. Khazali and signed it as a witness. Last October, Mehdi Khazali posted a note on his blog denouncing his brother’s financial corruption and in it, he spoke of the threats he had received from his brother. Mehdi Khazali, born in 1965, is a blogger, an ophthalmologist, Director of Hayan publishing and the founder of Abasaleh Cultural Institute and Publishing. In recent years, Dr. Khazali has been one of the harshest critics of president Mahmoud Ahmadinjead and posted many articles on his personal blog criticizing Ahmadinejad, many of which were published internationally. He was arrested for the first time after the disputed presidential election of 2009. 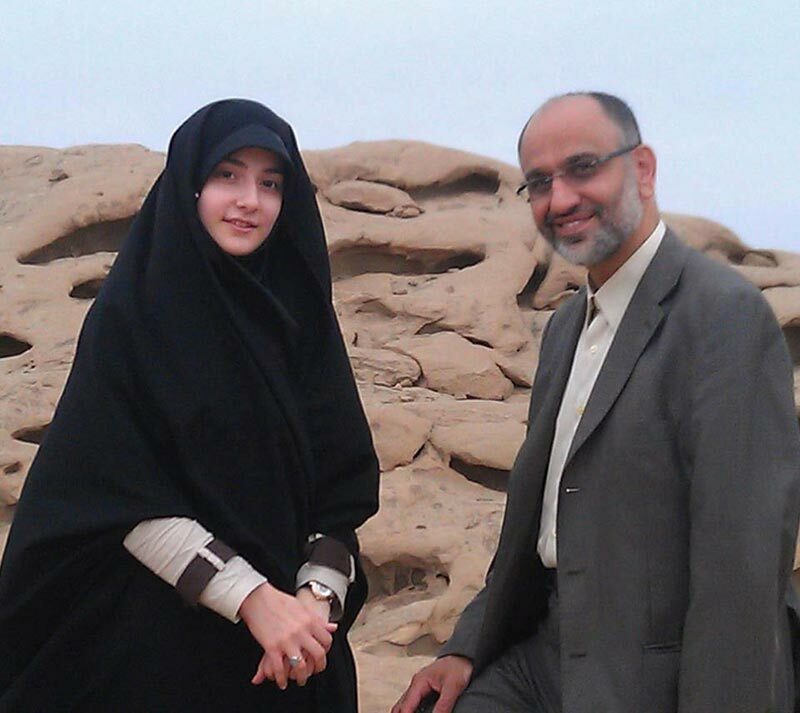 Dr. Khazali is currently in prison on his 5th arrest.